I've been a little slow off the mark writing about this album. I've had it for a month and by now, those of you with any interest in the Pixies will have played it to death and formed your own opinions. Then there are those who have made a conscious decision to avoid it. I understand your reasons for doing that and I doubt that anything I say will persuade you otherwise. For a lot of music fans, once they hit their mid-30s their listening will be based around nostalgia to a greater or lesser extent. Even for those such as myself who still consume a huge amount of new music, we often claim that the most important bands are those we listened to in our formative years. We all have songs that are tied in with key moments in our past and as we get older we experience fewer life changes, making it harder to find something in our minds to attach the music to. So if a favourite band reforms, we approach with trepidation, especially if there is new material that's likely to trample all over their legacy. But if we're honest, maybe we also want to leave the classic songs in the past. If we hear them played live now, we might have to admit that we're in a different place in our lives and the music will lose the meaning it once held. There are also acts who have what is considered a classic line-up and if a reformation is lacking just one original member then fans will not think of it as the same band. The 21st century version of the Pixies has fallen foul of all the issues described here, with many listeners turned off by the awkward mess found on the three EPs that made up 2014's "Indie Cindy". Add to that the departure of iconic bassist Kim Deal and the result is apathy from much of their original fan base. "No Kim, no deal" as one friend put it when I asked if he would be going to any of the forthcoming live shows. When listening to a record for the first time, I pay great attention to the lyrics. Those who have read my album reviews might say that I put too much effort into finding meanings that were not intended by the artist or twisting the lyrical themes to fit whichever personal trauma I'm having on the day of writing. But with the Pixies' songs, I've never been able to do this. In my mind, the band have always been inextricably linked with David Lynch although as far as I'm aware the only connection is that they once covered the song "In Heaven" from "Eraserhead". I like to think that their albums have several stories going on beneath the surface, interlocked in a way that we can never hope to understand. The back cover artwork of "Head Carrier" includes a list of characters and places, most of which feature in the lyrics although some are only referred to obliquely. This could easily be the cast list of a Lynch movie. Be honest, can anyone really explain the plot of "Mulholland Drive"? This record is equally unfathomable and much of the enjoyment is based around convincing yourself that there is something happening just out of sight. I imagine the "head carrier" or "cephalaphore" of the title to be something like the otherworldly Bob in "Twin Peaks" and with a new series of that show imminent, the timing couldn't have been better for this release. 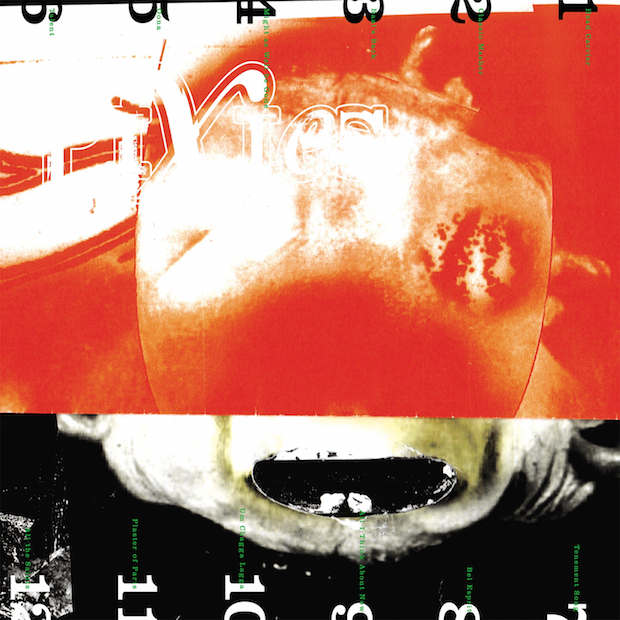 Despite the Lynchian mystery, there are some moments of personal reflection and self-analysis, more so than on any previous Pixies release. I see these as being like the romantic relationships that attempt to add some semblance of normality to a Lynch film. I can't be alone in thinking that Francis is referring to the whole of the previous album when he sings the line "What a waste of talent", and this is emphasised by Santiago letting rip immediately afterwards with possibly his greatest solo ever, just to highlight what was missing. Not surprisingly, there is some reminiscing about the original incarnation of the band. "Might As Well Be Gone" seems to lament a failed attempt to recreate past glories, while the most unsettling moment comes in the form of "All I Think About Now", a song which seems somehow out of place with the rest of the album. I can't quite get to grips with Paz Lenchantin singing words that were apparently written by Black Francis as a thank you/apology to Kim Deal. Up to this point everything has seemed natural but suddenly they seem to be trying too hard to sound like the "old" Pixies, and the result is a bit too close to "Where Is My Mind?" for comfort. The song, particularly the line "I try to think about tomorrow but I always think about the past", leaves a feeling of intense sadness. I can't decide whether this is simply disappointment at the song's blatant attempt to ape past triumphs, or because it reminds me of my own past - leaving school and the life decisions I had to make at the time "Doolittle" came out. Despite being in two minds over whether the album would be better without it, I find myself going back to this song more than the others, in the same way that I churn over past events in my head. "If I could go to the beginning, then for sure I would be another way." I imagine that at some point in the near future there will be more new material but I actually feel that "Head Carrier" would be the ideal point to put the Pixies into retirement and leave their legacy intact. Apart from the minor misgivings over one or two songs, on the whole I feel they have produced a worthy follow-up to "Doolittle", finally paid off the 25-year debt. In early December I will keep my side of the bargain and finally see them live for the first time. Then maybe we can all move on with our lives.